Food label is the best way to know what kind of food you should eat and how much you should eat. Being informative is always appreciated! Knowledge about everything is necessary and the basic part of your daily life, i.e., food, is the first thing you need to start your day with. 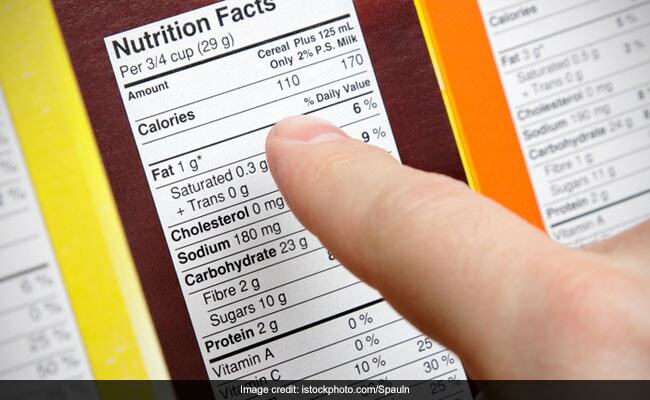 If you buy any food, you must have seen the food label provided at the back of the package, which consists of all the nutritional information that food has to offer. We are just going to talk about that! Food labels comes under the heading "Nutrition Facts" which is written in white with all black and bold letters. It is generally found at the back of the food packet helping you in knowing what nutrients are present in the food and then it's up to you what you need to consume and what nutrients you have to give up on or have in moderation. It also helps in comparing food from different brands and give you a healthier insight into the food that you are about to eat. The general nutrition diet consists of 2,000 calories per day and every other food offers different type of nutrition. Some of the food may contain more calories than the others. The intake must be targeted on the nutrients that will keep you healthy. The serving size - First on the nutrition facts is the serving size which provides information about the total number of servings in the package and also the amount per serving. They are provided in the common measurable units like cups or pieces, and also in general units like, grams. The serving size familiarizes you with the amount of calories you are going to intake and other nutrients per serving. Calories - Next comes, calories, the most crucial part of the nutrition label and is written in the form of "amount per serving". Per serving of the food is going to provide how much of calories is given under this section. It is advisable to have 100 calories. 400 calories or high can result in overweight and obesity. Also, there is "calories from fat" which you need not to ignore. It tells about how much of calories are coming from fat. The percent daily value - Percent daily value is the amount of nutrient provided per serving of the food. It comes in individual hundred per cent count of each nutrient. five per cent or less is considered low in nutrients and twenty per cent or more is considered high in nutrient. This can help in comparing different brands in similar food product. It is advisable to have fat, trans fat, saturated fat, cholesterol and sodium in minimal and negligible amounts while fibre, calcium, iron and vitamins can be taken in greater amounts. The nutrients - Nutrients are generally highlighted in two colours. The yellow ones fall under "limit these nutrients" and the blue ones fall under "get enough of these nutrients". The yellow one includes total fat, cholesterol and sodium which are recommended to be taken in amounts as low as possible as they increase the risk of heart diseases, high blood pressure and cancer. The blue one includes nutrients like fibre, vitamin A, vitamin C, iron, calcium, etc. which are recommended to be taken in higher amounts as they help in the improvement of your health. Calcium helps in keeping your bones strong, fibre helps in improving bowel movement and also helps reduce risks of heart diseases. This is the best way to know what kind of food you should eat and how much you should eat. It helps you in knowing the nutritional benefits of one food which will in turn help you keep a track on the calories you are taking.